Has your home fallen victim to a plumbing leak? Are searching around for a reputable plumber who can locate the source of the leak by providing you with plumbing leak detection in Milpitas? If so, you’ve come to the right place! Here at Chandlers Plumbing we have the tools, experience, and know-how to detect, diagnose and then fix any leak found in your home. We are the experts to call on for plumbing leak detection in Milpitas, Santa Clara, Saratoga, San Jose, Cupertino and throughout the Santa Clara County! Our team can easily repair water line and sewer line leaks that may be affecting your home. 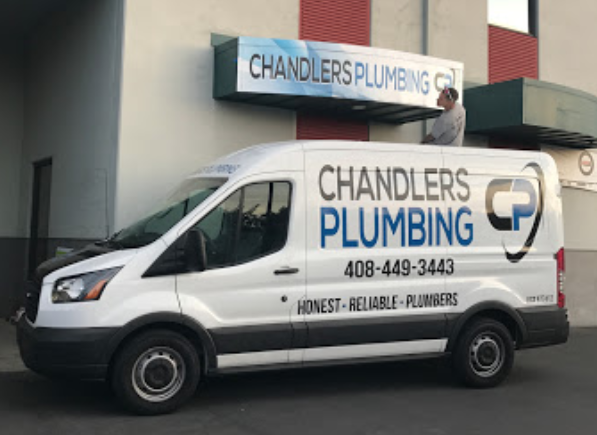 You will have peace of mind knowing the crew from Chandlers Plumbing has seen just about every plumbing leak out there! Our highly-trained team uses the latest technology to detect and then repair leaks both quickly and affordably. Need Plumbing Leak Detection in Milpitas CA? A leaking pipe in your home can cause thousands of dollars in damage, especially if it goes undetected for a prolonged period. Plumbing leaks are not always straight forward to locate since pipes run throughout walls and under slabs in a home. Often times they go unnoticed until a water bill reaches an unusually high amount, or water becomes visibly present in on floors, walls or ceilings. If you are confident that you have a water leak, but there are no visual signs of one in your home; you may be asking yourself just how are plumbing leaks located? To the naked eye most notable sign of a plumbing leak is an increase in your water bill, especially if you haven’t changed your normal water usage in the home (dishwasher, washing machine, showers, baths, sprinklers). You should also be on the lookout for water stains on ceilings or walls. Unrepaired leaks will also cause damp concrete and carpet through the lower layers of the home. This can lead to the smell of mildew, which then brings about mold. Electronic leak detection equipment can be a huge help in locating a plumbing leak. Ultra sensitive listening equipment can narrow in on a leaks location in a pipe putting a plumber within a few feet of it’s location. The downside is that even if the leak is “pin pointed” the listening equipment cannot detect the exact line the leak is present in if multiple lines run side-by-side. The best method for locating a water or sewer line leak is to isolate and test each line by cutting and capping it. That way the exact line that is leaking can be located and then re-routed. This method can save homeowners $1,000’s because it does not require cutting through the slab foundation of a home. For the most part, a slab leak is any type of leak that occurs underneath a concrete slab on your property. The slab could be your patio, which is outdoors, or it could be the floor of your basement or garage. Older homes that have additions built might also have concrete slabs underneath the hardwood floors or rugs. Warm floors: a slab leak can cause the floor you walk on feel warm, sometimes even hot. The hot water from the leak heats the concrete, which then heats the flooring. If you walk on one area of flooring that feels warmer than others, you likely have a slab leak. Puddles on the floor: a common slab leak sign is that you have puddles on your floor. The puddles will grow as time passes as more and more water seeps up through the concrete. Cracked floors: the most severe sign of a slab leak, which means the leak has been happening for quite a while, is cracked floors. This sign might skip all the others, including puddles on the floor and water seeping through the concrete. Low water pressure: if the water pressure in your home is typically strong and now it’s pretty low, it could be a sign of a slab leak. A slab leak is most often present in the main water line of the home, which means the pressure throughout the house will be lower than normal. Weird sounds: a great way to detect a slab leak is by turning everything off in the house and intently listening for running water. Turn off all appliances that use plumbing and listen for odd sounds near the slab. If it sounds like water is running, you likely have a slab leak. High water bills: high water bills are another sign of a slab leak in Milpitas. Should you have trouble finding any reason why your water bill is so high all of a sudden, it’s possible there a leak in the slab.